I've had to be very restrained for the past two weeks because of all the October Gothic events that are happening for which the books I'm reading are mostly my own or on my Kindle. Last week I stopped by the library only to pick up two I had on hold and today added three more. The Silver Dark Sea by Susan Fletcher........' a tale of love, loss and the lore of the sea.' Last year I read Corrag and loved it and this is probably one of my most eagerly anticipated books for 2012. 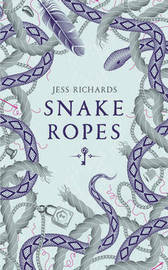 Snake Ropes by Jess Richards.......I'm reading this now when I need a break from all things Gothic.... and loving it. 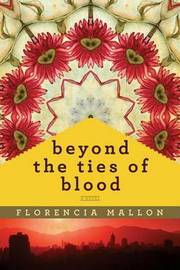 Beyond the Ties of Blood by Florencia Mallon........Eugenia Aldunate is a rare survivor of the countless 'disappeared' that would haunt Chile for decades. Twenty years later she returns from exile in the US to testify and help seek justice for those who were lost. 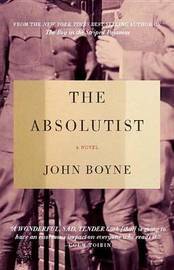 The Absolutist by John Boyne.........a novel that examines the events of the Great War from the perspective of two young soldiers. I've had this on the TBR for a while.....time to read! 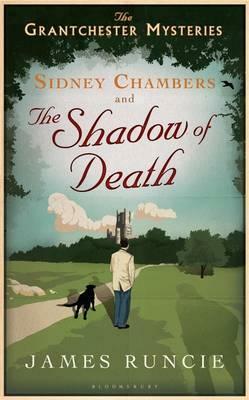 Sidney Chambers and The Shadow of Death by James Runcie....this is the first in a series called The Grantchester Mysteries which features an amateur sleuthing vicar. A contemporary author but writing in vintage mystery style.....sounds fun. The Absolutist sounds good. Enjoy! The reviews I've read have been good so looking forward to reading it. I really need to read The Absolutist. I heard John Boyne speak at Melbourne Writer's Festival and he was so interesting. I could have listened to him talk forever. I've been putting off reading it for too long - have a feeling it's going to be very sad! Like Marg and Linda, I think The Absolutist sounds great. Enjoy your loot!